Do you have a cool lawnmower? 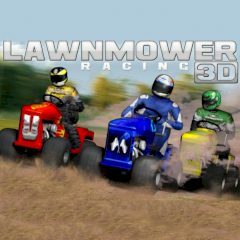 Then take part in this exciting lawnmower racing! Use arrow keys to control your vehicle! Leave all your rivals behind and reach the finish line first!